The Bloomerang team knew it needed the right tool for the job and Sprout stood out among other social media management platforms. 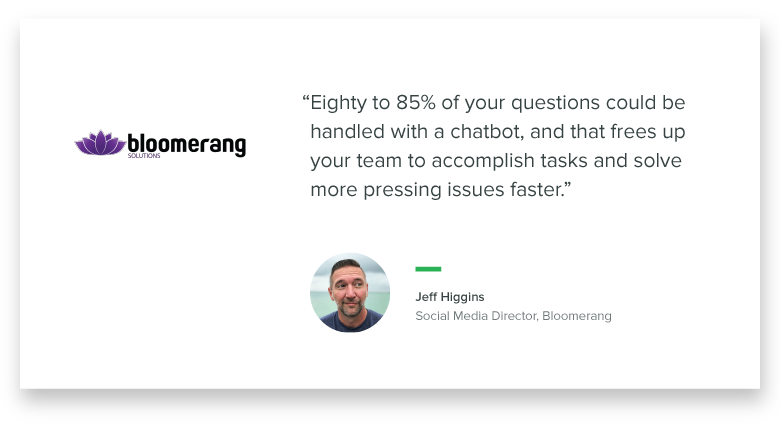 With Sprout Social’s Bot Builder, agencies like Bloomerang are able to create, preview and deploy both Facebook and Twitter chatbots in a matter of minutes. Everything from automatic welcome messages to pre-programmed replies can be used to ensure prospective buyers receive the responsive customer care they crave. In addition to greeting customers and answering commonly asked questions, chatbots can be designed to provide specific product and service recommendations, complete with calls to action and eye-catching imagery. 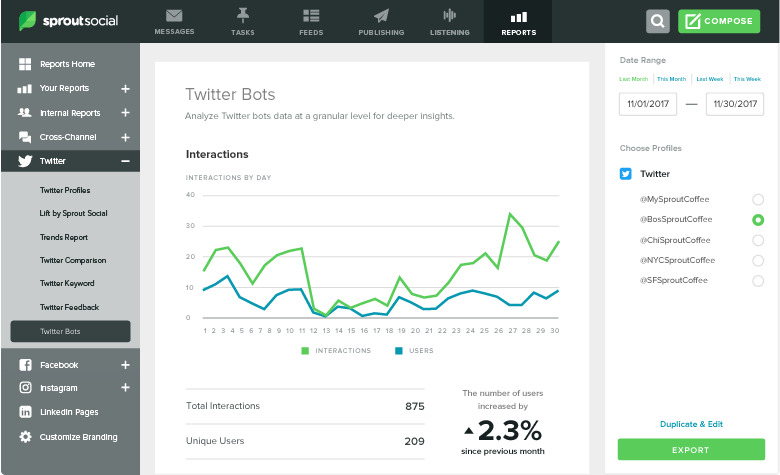 “We make sure they can see how [a chatbot] benefits them with sales, or how it’ll help with their customer service, or how it’ll help them reach a younger demographic and at the same time let them produce more product,” Higgins said. The possibilities are seemingly endless and the value of chatbots will only grow as digital consumers continue to expect increasingly responsive service on their channel of choice. Start Building Your Own Chatbots Today! 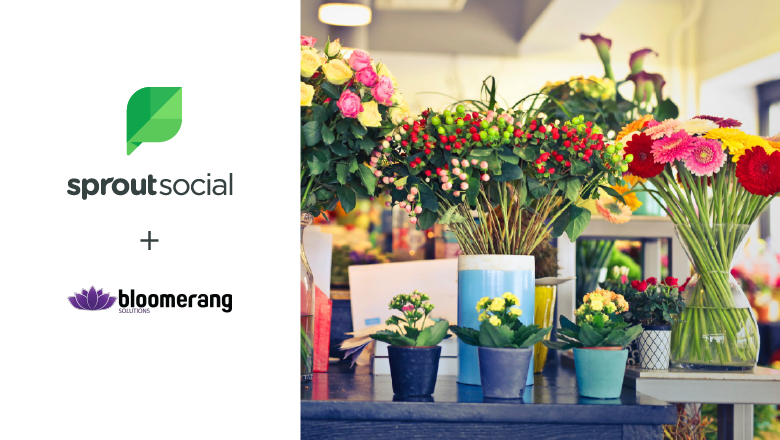 Sprout representatives are ready to teach you the value of social chatbots. Fill out your information below and we will be in touch with you shortly!